Legislation to ensure members of the armed forces and reservists receive designation as a veteran on their driver's licenses and state IDs was signed into law last week. The bill was introduced in response to concerns of some Illinois National Guard members that they would not be designated as a veteran because they were not called to active duty. 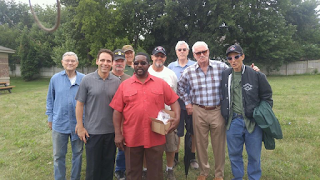 "People who serve our country and make sacrifices for our freedoms deserve to be identified as veterans and have access to benefits," said State Sen. Steve Stadelman, a chief co-sponsor of the measure. "Besides giving these veterans some well-deserved recognition, the new law will also save them a little money. 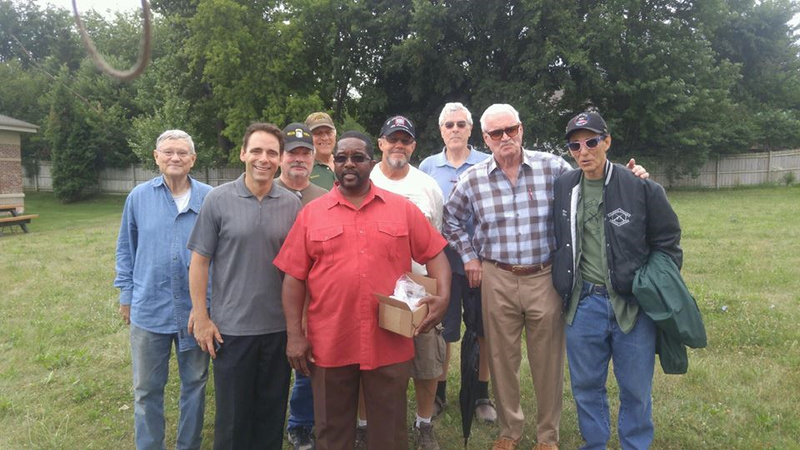 This bipartisan initiative is good for veterans, and I am glad the governor signed it into law." Under the new law, Illinois National Guard members and reservists who have not been called to active duty can receive the veteran identification on their driver's licenses and identification cards. Last year, the governor signed into law a bill Stadelman sponsored to require the Illinois Department of Veterans' Affairs to set up a program allowing those with a veteran's driver's license to qualify for discounts at some businesses. The legislation approved last week, Senate Bill 2173, took effective immediately. 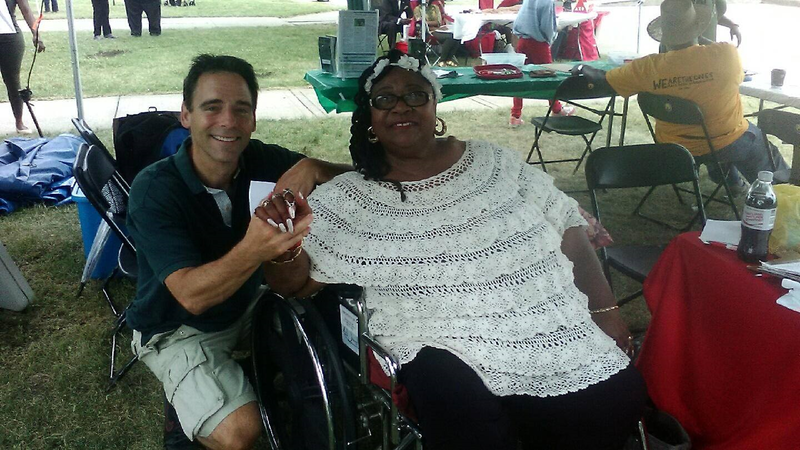 Senator Steve Stadelman presented 50-year commemorative pins to Vietnam-era veterans at the Rockford Vet Center's annual picnic last week. "More than 40 years after the war, many veterans continue to feel ill effects of their service," Stadelman said. "Some battle Post-Traumatic Stress Disorder (PTSD). Others fight illnesses caused by exposure to chemical defoliants including Agent Orange. They all deserve our nation's appreciation and respect." Stadelman also spoke at opening night of the annual Bookerfest, which carried added significance this year as the Booker Washington Center celebrates its 100th anniversary. (Below: Senator Stadelman is pictured with author Flora Cousins, who updated him on her "Don't Be A Bully, Be A Buddy!" campaign.